Asian boy with white girl inside mini cab office waiting room. 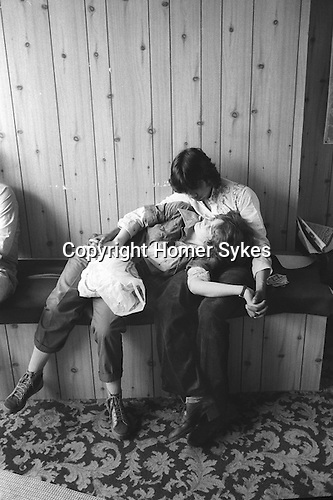 Tower Hamlets, East London UK 1978. Bethnal Green Road.